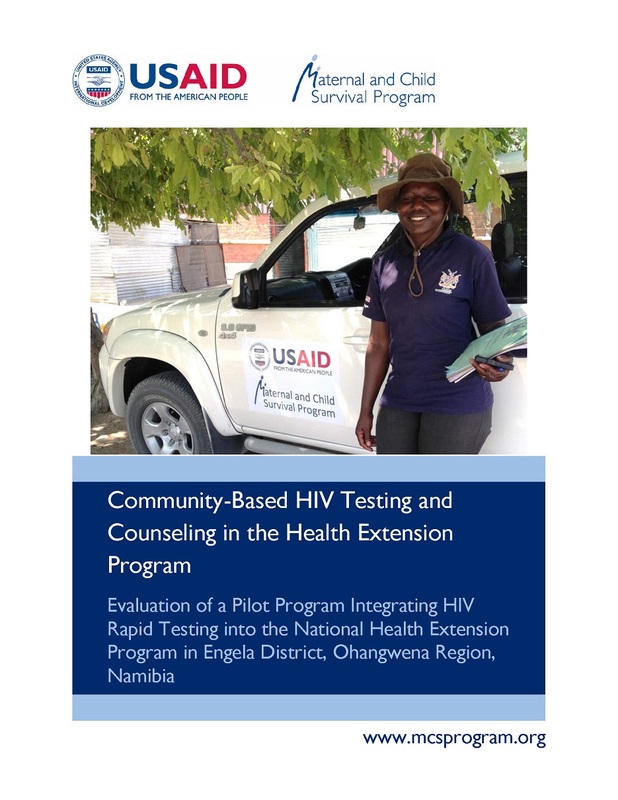 MCSP is currently implementing a multifaceted project to support the Ministry of Health and Social Services (MoHSS) in delivering community-based HIV testing and counseling through the national Health Extension Program (HEP). This initiative is aimed at capacitating the MoHSS with regard to community-based HTS by reducing its reliance on partners. This report is an evaluation of the pilot program.